The salon has been open since 2004, but was sold by its original owner a few years ago to an investor. This investor decided to let his preacher’s daughter, who had just graduated beauty school, run the business on his behalf. 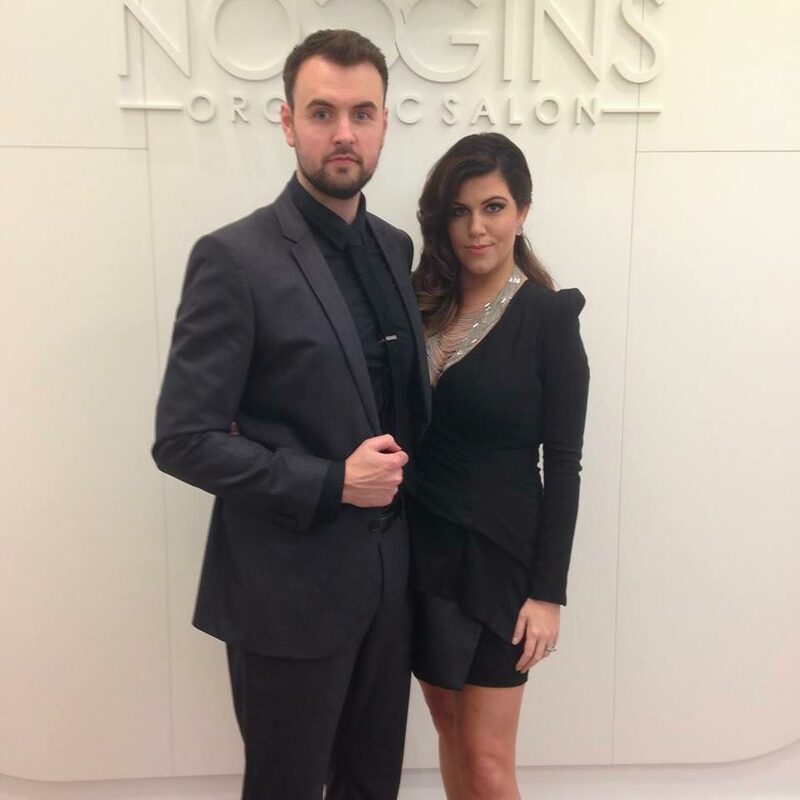 When Kez came to work for Noggins after returning home from studying with TONI&GUY in London, she and her husband, Gareth decided to divide and conquer. The investor invited the Broads to lunch one day and proposed they help him build his business. But the Broads wanted more. The Broads took over the ownership of Noggins in 2010. When the deal was done, Gareth left his job at Trade Secret and the Broads went to their staff and explained that education was now mandatory. Before Kez went to London to further her education with Toni&Guy, she had been a hairdresser for 15 years. But she knew there were others out there who were better. And she knew she could improve. So with a passion for learning, she set out to become the best. She believes in the point of difference great education gives hairdressers and wanted Noggins to have a reputation as the cream of the crop. To make a tough situation even more awkward, people who had been co-workers were now Kez’s understudies. Through her own education and experience, Kez knew a profitable business doesn’t happen by accident. So she and Gareth created a program to set their stylists up for success. 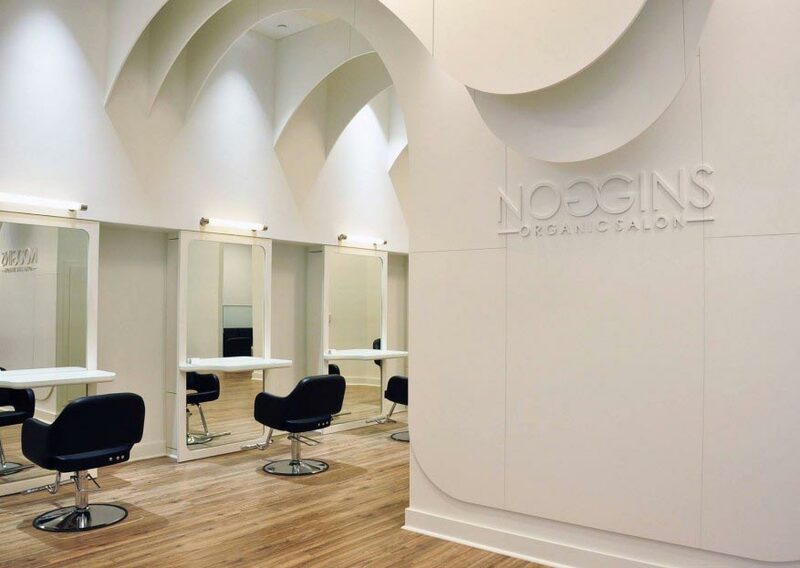 This is where Noggins truly differentiates itself from the competition—especially in the area they are located. These complaints are: shedding, dryness, damage, oiliness at roots, and hair that won’t hold a style. Next, they taught the staff about Aveda products. They learned how the shampoos deep clean the scalp on a level other products cannot. “Clients see their hair staying cleaner longer, growing faster and shedding less,” says Kez. “We take our stylists through the whole process about how emotional medical side effects can be. The medical approach Noggins uses on their clients is unique and effective. “We explain to them how we can work on their issues topically with Aveda products, and then, if they need it, refer them to a wellness specialist who can look at vitamins, and/or any other issues like thyroid or hormones,” she says. Kez maintains it’s only about 15 percent of customers whose hair problems can’t be fixed by Aveda products. But first, the stylist needs to figure out what the problems are. Most clients have a lot of issues, so the first thing Noggins stylists do is get them on a regimen of Shampure to get the petrochemicals found in other shampoos and products out of their hair. There’s a lot of cross-referral with the holistic doctor and clients eventually see improvement not just in hair, skin, and nails, but in energy and weight loss. In addition to a lot of product education, Noggins stylists do a practical application as well. “They do a series of 14 haircuts that encompass everything you could ever do,” says Kez. “Then they can mix and match techniques to create their own styles. They learn mathematical dissection of the hair and can calculate angles in a photograph to recreate the picture,” she adds. The Broads recognize Noggins is not for everyone. But setting themselves apart with highly educated stylists who take a medical, natural approach has yielded big business. Noggins has seven stylists who do $100,000/year each. How do they grow? A lot of education and retention. So when it comes to interviewing, Kez explains up front that they’re looking for six-figure hairdressers who want to be part of the Noggins culture. The Broads are also very open with their staff about the salon’s numbers. “They are allowed in our system at any time,” says Kez. “And if they have a bit of a backslide, we go back to basics and ask how they’re doing with marketability, consultations and the medical approach. The Broads also attribute their popularity and business success to really knowing their clientele. After advertising in traditional methods over the years, the Broads learned something else about their clients: word-of-mouth is their most effective marketing strategy. “We offered a special with referrals and new stylists: three referred people get a free haircut. We believe in our technique so much that if we can get people in the door, they will come back—we just need to get them in the chair,” says Kez. The Broads have also begun communicating with their customers through Demandforce with great results. And, once a person has been introduced to a precision cut, the Broads believe they won’t go anywhere else.